Humayun was born in Dhaka in 29 May 1952 to ATM Nurul Islam and Begaum Farida Islam. In 1968, Humayun passed SSC exam from Islamia Government High School and in 1970 he passed HSC from Chandpur Government College. Same year, he entered into University of Dhaka in Organic Chemistry subject. However, due to Bangladesh Liberation War of 1971 study became impossible. Later he admitted into Jahangirnagar University in Economics and during his university lifetime, he was a close associate of Selim Al-Deen. 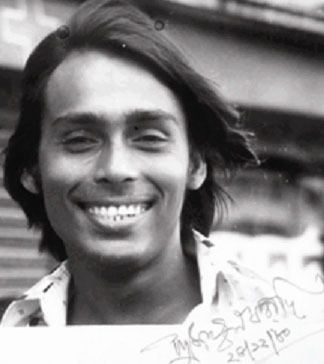 Humayun Faridi was one of the principal organizer of 1976 Drama Festival of Jahangirnagar University. Mainly from this moment, he started to be famous. He became a member of Dhaka Theatre during his student life in the university. Humayun later acted on numerous drama on the country's television. 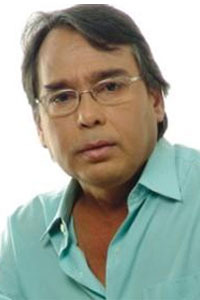 One character 'Kan Kata Ramjan' from the novel 'Shongshoptok' earned Faridi extreme popularity[peacock term] in the country. During the 1990s, Faridi started acting in Film where he also earned extreme popularity[peacock term] by bringing new concept in the acting. It was said[by whom?] sometimes that, audiences went to watch his films only to see his brilliant[peacock term] acting rather than the film itself. In the 1980s, Faridi was married to Minu. They had one daughter - Debjani. The couple got divorced after four years. Faridi then married to Suborna Mustafa. This marriage also ended in 2008. Faridi died on 13 February 2012 at 10 AM at his daughter's residence. He was suffering from chronic lungs disease and physical weakness. President and Prime Minister of Bangladesh and the leader of the opposition party expressed deep condolences upon his death.